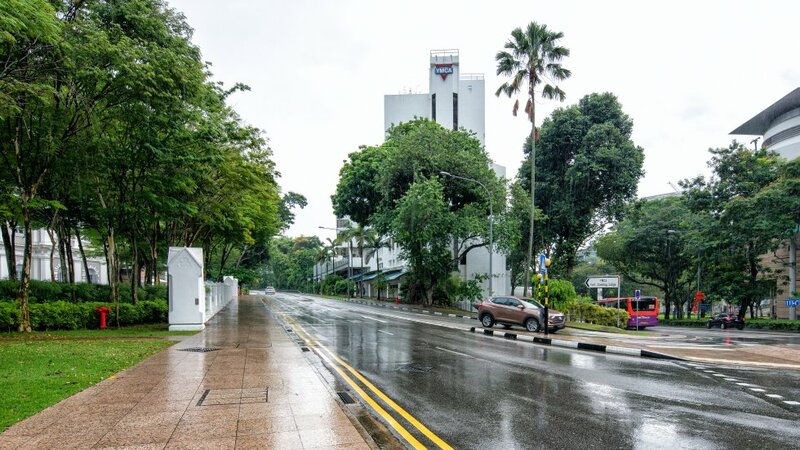 Present-day location of old YMCA building (Kempeitai East District Branch), 2016. Image courtesy of © Sng Kiat Peng, reproduced with permission. 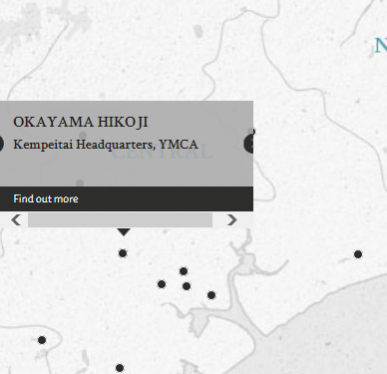 The defendant, Sergeant Okayama Hikoji, a member of the Kempeitai, was alleged to have ill-treated and tortured several civilian prisoners in the old YMCA Building, which was used as the Kempeitai Headquarters during the Japanese occupation. Okayama's acts included, inter alia, providing inadequate food, clothing and medical supplies, administering beatings with iron rods and bamboo sticks, conducting water and electric torture, tying prisoners' arms to prevent blood circulation and subjecting prisoners to cigarette burns. This case is related to the infamous Double Tenth incident. The civilian victims that were arrested, tortured and killed by the Kempeitai were suspected of playing a role in a raid on Singapore Harbour that had been carried out by Anglo–Australian commandos from Operation Jaywick. Okayama initially pleaded guilty to the charges, but the court was unable to accept his plea as his statement mentioned that he was forced by his superiors to commit the alleged acts. This statement implied that he had no intention of committing the alleged acts, and was under duress while he was carrying them out. Okayama also declined to call upon any witnesses as the prosecution was prepared to concede that the defendant had acted on superior orders. Several victims and witnesses claimed (in their affidavits) to have been acquainted with war heroine Elizabeth Choy during their custody in the YMCA Building. Okayama, Hikoji. Sergeant. From Japanese military. From Japan. Guilty. 7 years imprisonment. Sentence confirmed. Sahay, B. B. Major. From British Indian Army. LLB Advocate in India. Hibbert, Allan Ashden. Major. From British military. Suzuki, Hisakazu. Prosecutor of the Tokyo Civil Court, Japan. Khan, T.A. Captain. From British Indian Army. LLB Advocate in India.